The circus is coming to the Oakland City Council chambers later this month. An ordinance authored by Councilmember Libby Schaaf would strengthen regulations on the treatment of circus animals and the safety of spectators, but some council members want a more stringent ban on the brutal use of bullhooks on elephants. Feld Entertainment, the parent company for Ringling Bros. and Barnum & Bailey Circus, told Schaaf the circus would pull up stakes at Oakland’s Oracle Arena if the council bans bullhooks. 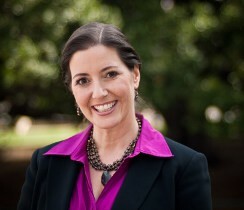 Schaaf said her ordinance is one-year-in-the-making and “creates regulations where there were none before. We should be compassionate and treat animals with dignity, but there’s more that can be done.” The proposed ordinance heard at Tuesday’s Oakland City Council Public Safety Committee imposes greater scrutiny on the treatment of animals and the safety of patrons at events through the city’s existing special events permitting process. The Humane Society of America, People for the Ethical Treatment of Animals, and the Oakland Zoo all support the proposed ordinance. In addition, it also gives authority to the city administrator’s office and chief of police to impose additional regulations, but, some animal rights activists and councilmembers contend that the proposal does not go far enough. 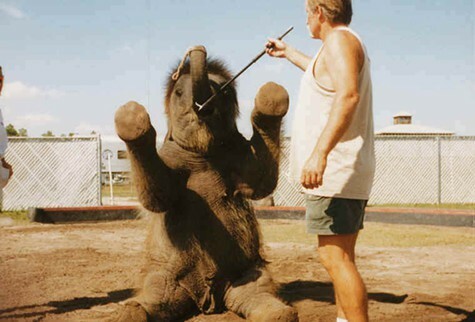 Councilmember Dan Kalb called the ordinance “overall, modest, but a step in the right direction.” However, he strongly indicated a preference for including a ban on bullhooks and other implements used to forcefully control circus animals. The use of bullhooks, baton-like instruments with a small hook and spear affixed to the end, has long been criticized by animal advocacy groups, who say they inflict great pain and fear on the animals. Councilmember Noel Gallo also vowed support for a prohibition before directly asking Schaaf, “Why not ban the bullhook?” Although Schaaf also said she supports a bullhook ban, she indicated that she did not believe it would garner enough votes on the council. She then revealed that Feld Entertainment had previously threatened to drop Oakland from its touring schedule if the city banned bullhooks. “What Feld said to me is, if we passed [a bullhook ban], Ringling Bros. will not to come to Oakland.” She suggested more needs to be done to identify the economic impacts on the city and county-owned Coliseum and jobs the circus creates. On Tuesday, Councilmember Lynette Gibson McElhaney said there already remains a lack of family-friendly entertainment options for low-income Oakland residents, even with the circus in town. She noted Feld Entertainment often donates free circus tickets to less fortunate groups in the city. San Jose, Sacramento, and Los Angeles currently have regulations on circus performance similar to Schaaf’s proposal. However, last October, the Los Angeles City Council unanimously approved a ban on the bullhook, effective in three years. According to the Los Angeles Times, Feld Entertainment had issued similar threats to move its circus out of Los Angeles County.